Welcome Home to Canyon Creek Village! You are invited! 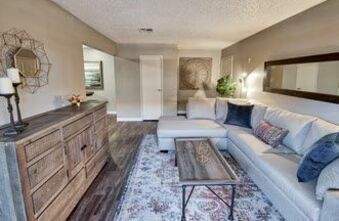 Come visit us at Canyon Creek Village in Phoenix and see for yourself all the benefits of living in our charming community! 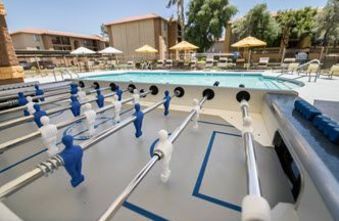 Our residents enjoy all the comforts of desert-resort-style living, as well as the conveniences of residing in the city. Desert Ridge Marketplace offers a variety of dining and shopping options nearby, and Turtle Walk Basin Park is a favorite spot for getting out for a stroll or a picnic. 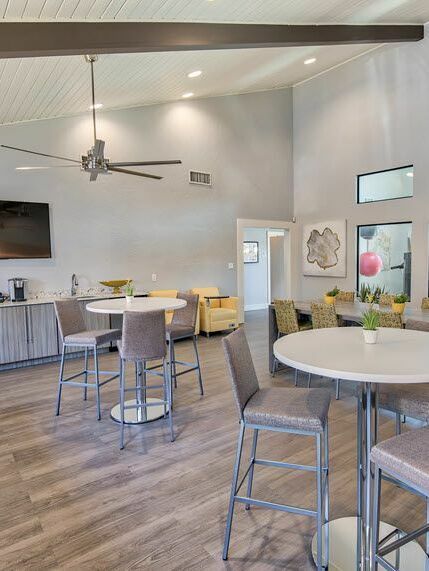 One of the highlights of our welcoming resident clubhouse is the expansive swimming pool where you can cool off after a workout in the fitness center or on the sport courts. Canyon Creek Village is a pet-friendly community. 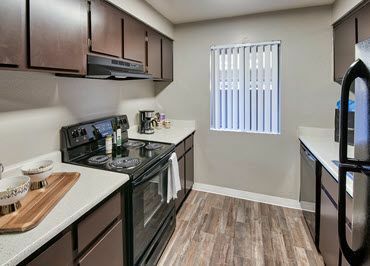 Generously sized one, two, and three bedroom apartment homes are well-designed with fully equipped kitchens and spacious walk-in closets. Private balconies and patios expand your living space, and our on-site laundry facilities are a welcome extra perk. Our professional property management and maintenance teams are ready to work diligently on your behalf. 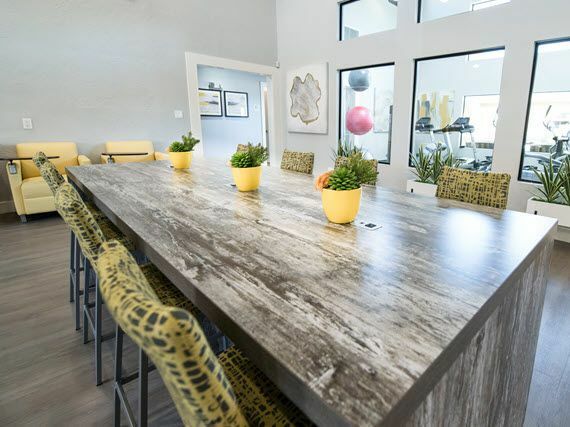 Stop by our office or call for an appointment to see Canyon Creek Village in person! 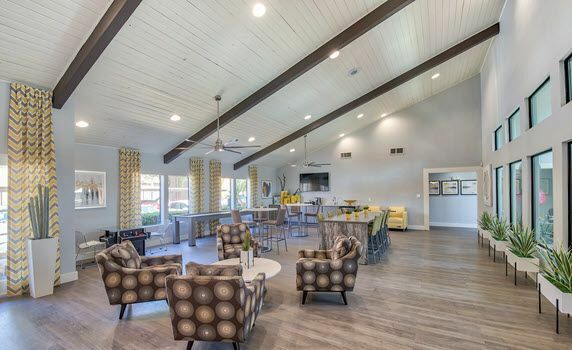 Our resident clubhouse and recreation center is the star of the show at Canyon Creek Village! This spacious hub of activity features vaulted ceilings, a complete kitchen for entertaining, and wood-burning fireplace. 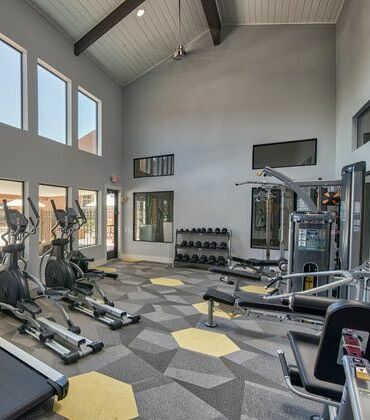 Our fitness center is always open, as are the convenient laundry facilities. Just outside is one of our luxurious swimming pool areas, complete with lounge chairs for your enjoyment. Tennis and volleyball courts are awaiting your energy, and you can reward yourself with a barbecued dinner afterward! Our professional management and maintenance teams are on-site and dedicated to your comfort. We combine desert architecture with space and amenities. 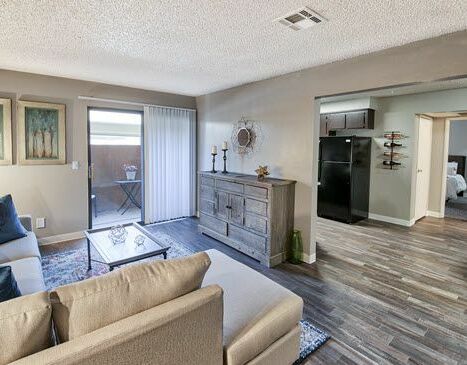 Centrally located with easy access to all area freeways, Canyon Creek Village is also just steps away from the open areas and nicely maintained desert landscaping of Turtle Rock Park. Mountain View Community Center, Pool, and Park are local favorites, and nearby Fountain Square offers a variety of restaurants, services, and groceries.